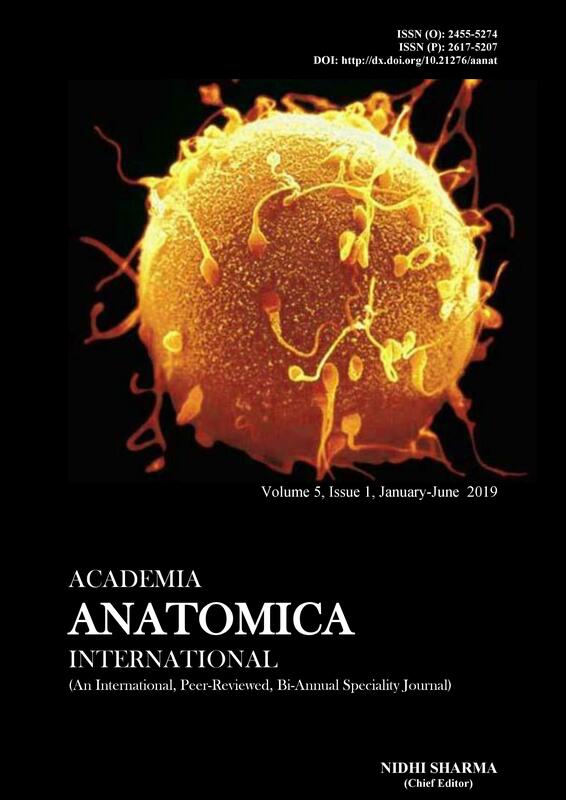 Academia Anatomica International is a double-blinded peer-reviewed, open access, Bi- annual journal that publishes original research articles, review articles, case reports, brief communications and clinical studies in all areas of basic and clinical anatomy. Academia Anatomica International is an Official publication of “Society for Health Care & Research Development”. A Society registered under Society registration Act XXI of 1860, India. Academia International Journals by AIJ is licensed under a Creative Commons Attribution-NonCommercial 4.0 International License. Based on a work at http://aijournals.com/. Permissions beyond the scope of this license may be available at http://aijournals.com/.